Mold testing for Washington, DC, rental properties is now a very real legal consideration for landlords with multi-unit rental properties in the District of Columbia. The D.C. Council unanimously passed The Air Quality Amendment Act of 2014 (D.C. Act 20-365) to address growing controversy over the dangerous and expensive damage a severe mold outbreak can quickly cause. This legislation closes a serious legal loophole regarding responsibility for monitoring, managing, and treating mold in rental housing in the District. When it comes to mold inspection and mold testing in Washington, D.C., the law establishes The District Department of the Environment (DDOE) as the managing authority to establish a licensing and accreditation program for professional mold contractors, along with minimum mold work practice standards and guidelines. From landlord disclosure of mold conditions to the 30 day time limit a landlord has to remedy mold contamination, the law is designed to ensure Washington, D.C., tenants are living in a mold and contaminate-free environment. 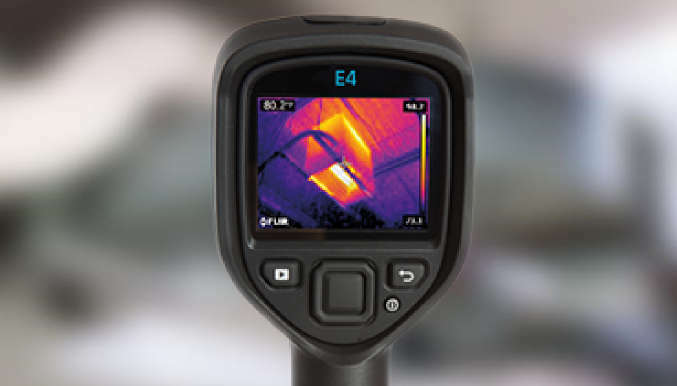 The first step to assessing and treating a mold outbreak is mold testing in Washington, D.C.
Energy-efficient construction techniques and “whole-building” engineering practices have created the perfect environment to incubate mold spores. Scientific findings and statements regarding the causal link between mold and certain upper-respiratory, nervous system, and immune response conditions have elevated public awareness. 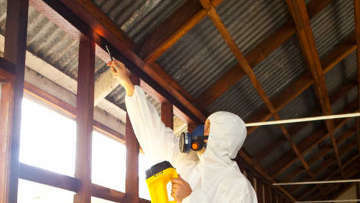 Recent multimillion-dollar court settlements place mold in the same legal category as asbestos, lead, and other potential toxic and damaging environmental threats. We now know that, depending on DNA and the environment, mold affects different people on different levels – as an allergen, infectious agent, irritant, and a toxin. But most states are slow to legislate the ubiquitous issue of mold in indoor spaces. When it comes to mold testing in Washington, D.C., most players involved would agree – the District sits poised on the cutting edge of mold legislation in this country. Stay tuned for updates. Mold inspections in Fairfax, VA, yield vital information regarding Indoor Air Quality (IAQ) and the environmental health in and around a building. Most people give little thought to the air around them. 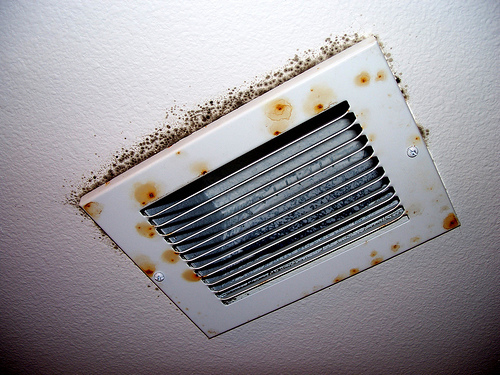 But, for those with sensitivities and allergies, a mold outbreak can lead to significant health risks. Mold inspections are scientific examinations of the materials and air in your home or workplace that can undeniably identify simmering environmental issues like a mold outbreak, And, according to the World Health Organization (WHO), who in 2009 published the WHO Guidelines for Indoor Air Quality: Dampness and Mold, research evidence clearly links indoor mold exposure and respiratory illness in otherwise healthy people. Experts estimate Americans spend as much as 90 percent of their lives indoors. Threats to air quality include molds, bacteria and biologicals, VOCs, radon, secondhand smoke, formaldehyde, lead and atmospheric hazards from home remodeling and common household products. Homeowners and businesses can employ mold inspections in Fairfax, VA, as a component of a more comprehensive safety and environmental security plan. As anyone who has experienced the nightmare of an environmental disaster, large or small, will tell you, do not delay in addressing environmental concerns – because the problem will only grow and become more expensive if neglected. Ensuring the overall environmental health of your property is imperative to the well-being of family, coworkers, friends and guests. If you suspect mold or something in your indoor environment is making you sick, or have concerns about the presence of harmful or toxic substances in your home or business, contact the environmental experts at Envirotex. Envirotex – creating a healthy environment one building at a time for nearly 20 years.